Reports that the Department of Justice declined a request to prosecute a Council on American-Islamic Relations (CAIR) official last year have left many, including U.S. Rep. Peter King, R-N.Y., wondering what factors DOJ officials considered. A new IPT memo addresses a different question. Why did Texas prosecutors make the request to prosecute Ahmad in the first place? 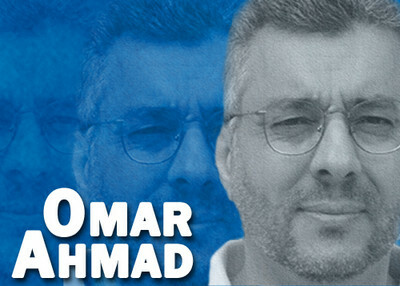 CAIR co-founder Omar Ahmad served as a senior executive in the Palestine Committee, an umbrella organization of U.S.-based Hamas support groups, FBI recordings and internal documents show. Ahmad worked closely with Holy Land Foundation for Relief and Development (HLF) officials and served as president of the Islamic Association for Palestine (IAP) for two years. Both HLF, convicted in 2008 of funneling millions of dollars to Hamas, and IAP, a U.S. Hamas propaganda arm, were identified in court documents as the Palestine Committee's primary components. Prosecutors say the groups worked to support Hamas both politically and financially. Exhibits introduced during the 2008 HLF trial supported that conclusion. Yet, Ahmad continued to work with HLF even after Hamas' 1995 designation. Almost five years after CAIR's formation, in a 1999 phone call with HLF executive Shukri Abu Baker, Ahmad advocated on behalf of an HLF official named Mohammed El-Mezain. Though Ahmad was not an HLF official, he negotiated the amount HLF would pay El-Mezain for fundraising trips he had made over several years. Ahmad was serving as CAIR's national chairman at this time. Also in 1999, Ahmad was recorded speaking with HLF official Haitham Maghawri regarding tens of thousands of dollars Shukri Abu Baker had promised Ahmad for a project. Maghawri, one of the HLF defendants, never stood trial because he fled the country before the government could file the 2004 indictment. In February 1994, Ahmad called for a teleconference during which he attempted to resolve a fundraising dispute between Hamas activist Abdelhaleem Al Ashqar and the Holy Land Foundation. Hamas operatives Jamil Hamami and Mohamed Siam later discussed Ahmad's suggestions during a meeting with Ashqar in Mississippi. The dispute was only fully resolved once Hamas official Mousa Abu Marzook intervened on HLF's behalf. Ahmad planned, convened and moderated an October 1993 meeting of the Palestine Committee in Philadelphia where members discussed ways to "derail" a U.S.-led peace agreement between the Israelis and Palestinians. The group knew that their Hamas support was problematic. They agreed to reference the group as sister "Samah" [Hamas spelled backward] and warned each other that the U.S. had proposed legislation that would designate Hamas as a terror organization. Under Ahmad's watch, CAIR received $10,000 from HLF and solicited donations on HLF's behalf several times after Hamas' designation. These examples illustrate Ahmad's authority over the committee and leverage in making HLF decisions. Internal Palestine Committee documents also affirm that Ahmad served as a committee executive. 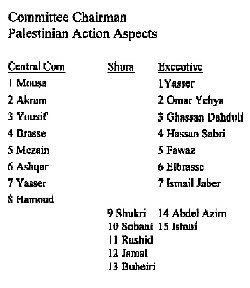 A diagram of Palestine Committee leadership put together by U.S. Muslim Brotherhood leader Mohamed Akram in 1991 shows Ahmad (a.k.a. Omar Yehya) listed in the No. 2 slot in a list of members of the committee's executives. Ahmad's California phone number also appeared in a Palestine Committee phonebook. During the 2008 trial, FBI Agent Lara Burns pointed to phone calls made between Ahmad and HLF officials, discussed above, as evidence that he was a "leader within the Palestine Committee." Other CAIR officials also popped up in the HLF trial exhibits, such as CAIR's current Executive Director Nihad Awad and former CAIR Vice President Nabil Sadoun. Sadoun was ordered deported last year. An immigration judge referenced Sadoun's relationship with Hamas and HLF during a deportation hearing. Ghassan Elashi, listed as an official on CAIR-Texas' 1998 incorporation documents, was convicted in the HLF case and sentenced to 65 years in prison. According to a superseding indictment in the case, Elashi's illicit activity began in October 1997, before he signed off on the CAIR documents, and continued until charges were brought by the U.S. in 2004. Ahmad and the CAIR organization itself were named as an unindicted co-conspirators (UCC) in the HLF prosecution. One of CAIR's main talking points regarding the UCC list has been that being named a UCC "is not a pronouncement of any guilt or even guilt by association." Perhaps. But those most familiar with the evidence have reached different conclusions. The FBI decided it no longer considered CAIR to be an "appropriate liaison partner," and would not "until we can resolve whether there continues to be a connection between CAIR or its executives and HAMAS." And the presiding judge, after seeing all the evidence, ruled that there was "ample evidence to establish the associations of CAIR ...with HLF, the Islamic Association for Palestine ("IAP"), and with Hamas." Soon after the FBI's announcement on contact with CAIR, Ahmad announced that he was retiring as CAIR's chairman emeritus. That doesn't seem to have mended CAIR's relations with the FBI. Last month, FBI Director Robert Mueller confirmed the FBI's policy towards CAIR still stands, noting that the problem is the group's "national leadership." Read our full report on the HLF evidence connected to Omar Ahmad here.